We’re also not content to just offer the parts that you need. Over the years, we’ve become known for our attentive and timely customer service. From working with you to locate the parts that your application requires to helping you understand the differences between the various fastener products offered in our catalog, we’re committed to ensuring that our customers have all of the information, resources, and assistance that they need to make an informed purchase. At Engineered Components Company, we have over thirty years of experience working with players in a wide range of industries. 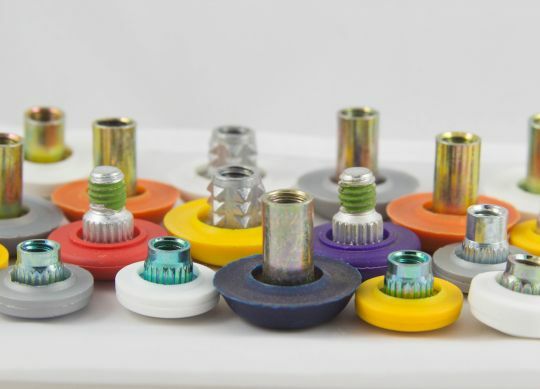 With a proven track record of offering the industry’s highest quality fastener products and solutions, we have positioned ourselves as the industry’s premier source. Every day, we strive to maintain this position: searching out new products, improving our customer service skills, and taking all of the steps necessary to ensure that our customers receive the products that they need on time, every time. If you’ve been searching for a rock-solid supplier of T-nuts, encapsulated bolts, rear door hardware, or other products, contact us today to discuss how we can help.